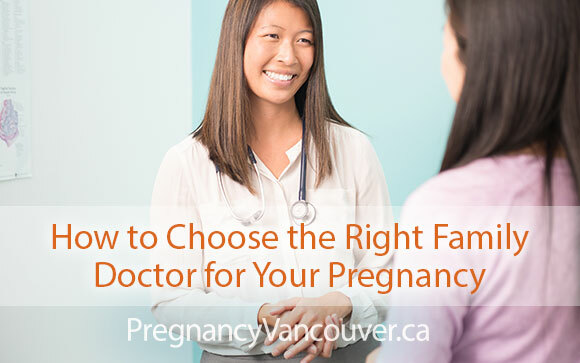 The Vancouver Division of Family Practice shares a list of family doctors who are accepting patients for maternity care at pregnancyvancouver.ca. This web site is a great place to look if you’d like some information to help you choose. Does the doctor’s “philosophy of care” fit with your views? Go in for an initial visit and find out about the doctor’s viewpoints on issues that are important to you, like specific cultural practices around pregnancy and childbirth, collaboration with other care providers like doulas, and the use of different interventions (like inductions, c-sections, epidurals and other pain medications). Do you have compatible personalities? We are all different, and we have different types of people we get along with best. The best healthcare partner for you is one you feel comfortable with and can communicate with easily. After your initial meeting, ask yourself, “How comfortable did I feel with the doctor? Did the doctor explain things clearly and completely? Could I see myself developing a relationship with this doctor? Will the doctor who provides prenatal care be the one who delivers your baby? Some maternity doctors attend most or all the births of the patients whom they see during pregnancy. Other doctors work in a group, and the doctor you see for prenatal visits may not be present at your birth if they aren’t “on call” that day. Some of the doctors who work in groups have a “meet and greet” event so that you can meet the other doctors in their groups. Do you have a preference for the hospital where you will give birth? St. Paul’s Hospital, in downtown Vancouver, and BC Women’s Hospital, at Oak and West 30th Ave , are the two delivery hospitals you can choose from – you can read more about maternity hospitals in Vancouver on the Pregnancy Vancouver site. Some doctors only attend births at one hospital; some attend births at both. With these questions in mind, you will be well equipped to find a family doctor that is the right care provider for you through this new and exciting chapter of your life.